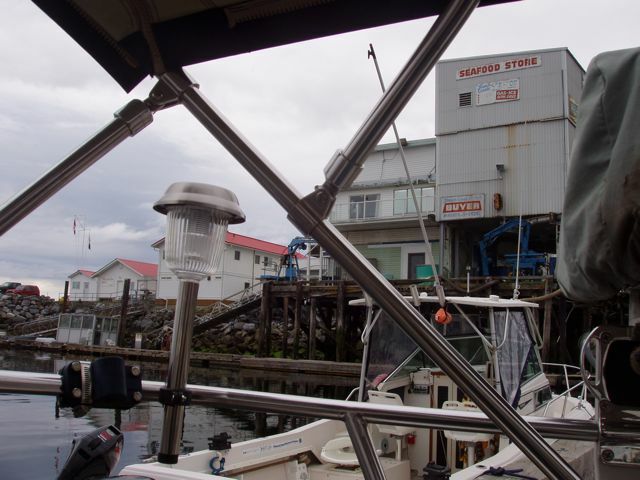 After leaving Comox, we headed to Nanaimo. It was not to be: winds and seas on our bow the entire day just exhausted us. Conni found a tiny harbor: French Creek. It was made by the Canadian government: dredged and buoyed, new docks made. To keep out the seas, they created a rather complex set of turns to enter the harbor. With 26 kt winds and 6-ft seas, we had to go upwind of the entrance, turn the boat downwind, and enter the harbor. Heading directly into the entrance would have subjected us to heavy beam seas, rolling us like a bowling pin. The cupboards would have been rearranged and the cats would have puked. 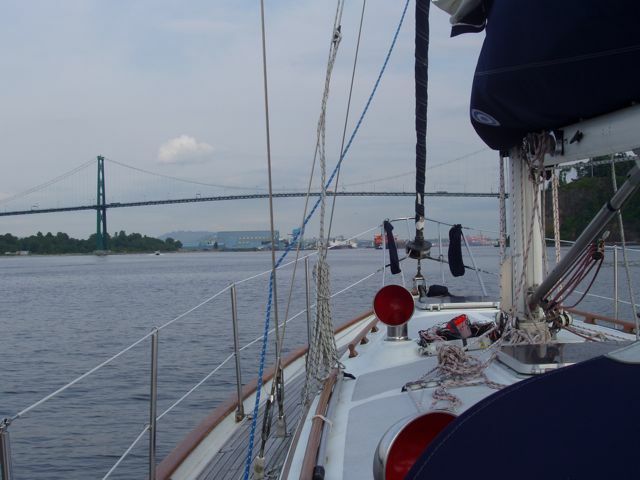 We left French Creek early, motored/sailed all day, and entered Vancouver at 6:30 PM. Vancouver! 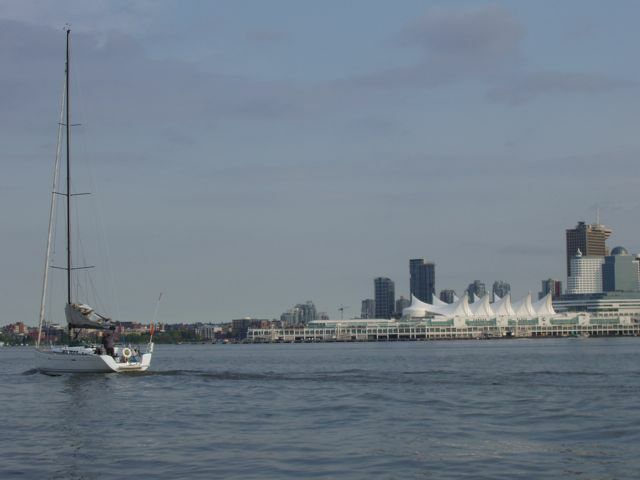 In 28 days from splashing Wings in Petersburg, we entered Vancouver harbor. And a bustling boat metropolis it is. We hope to get the Hydrovane self-steering fixed, and repair a pesky coolant leak. We've had to slow the engine and add water to the system every two hours. Lovely French Creek and its fish processor. 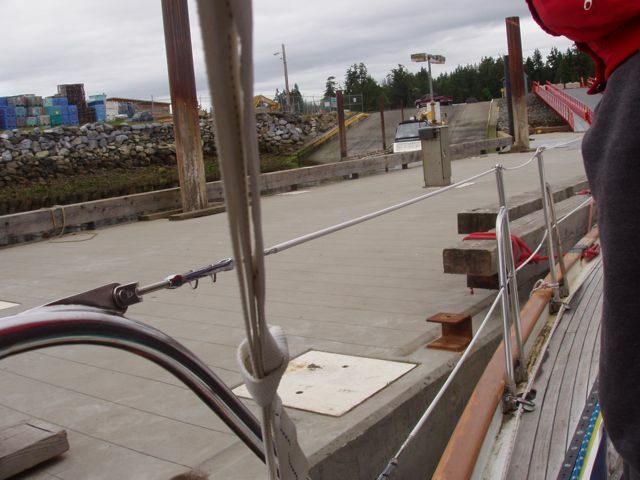 The unfinished ferry dock in French Creek, the only location we could find for docking. 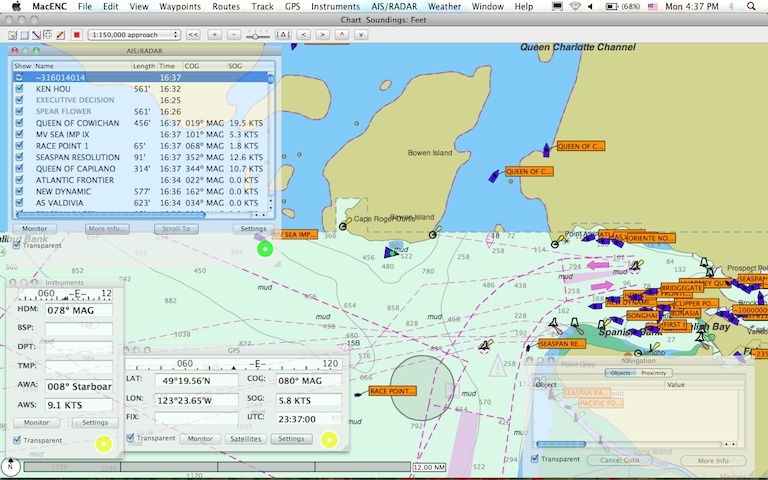 The AIS screen from our laptop showing Wings (the small blue triangle, mid-screen) and the other vessels that were broadcasting their locations and status via Automatic Identificaltion System. The information box in the upper left corner contains the AIS information. 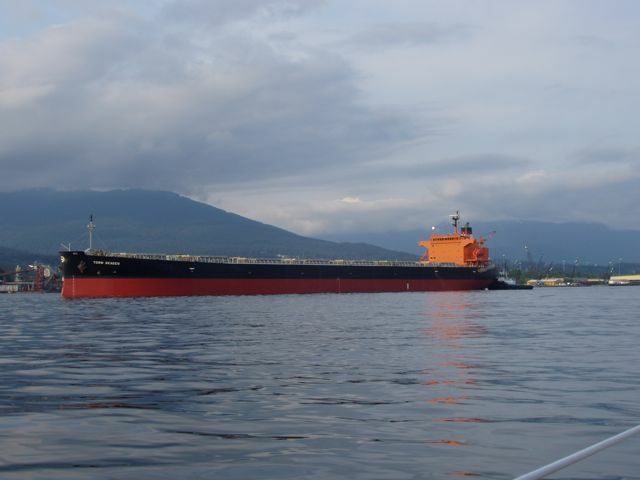 Selecting "More Info" about a vessel provides detailed information on VHF call sign, destination, and type of vessel (tug, pleasure, cargo, etc). Our laptop also receives GPS and sailing instrument information from our network: lower left boxes. 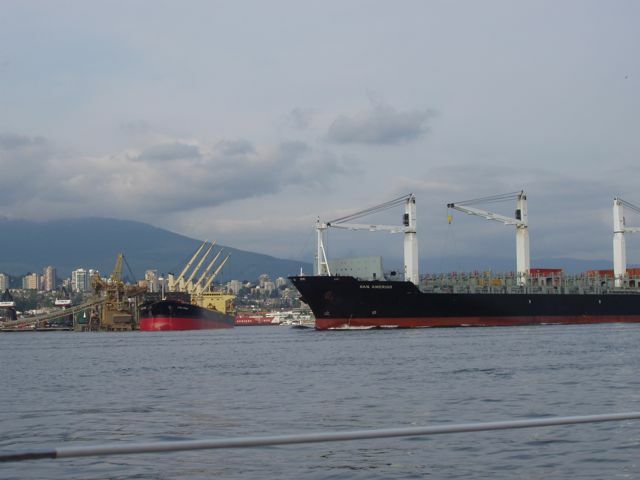 Stacked like spawning salmon...These are the ships in and around the Vancouver harbor as shown by AIS. 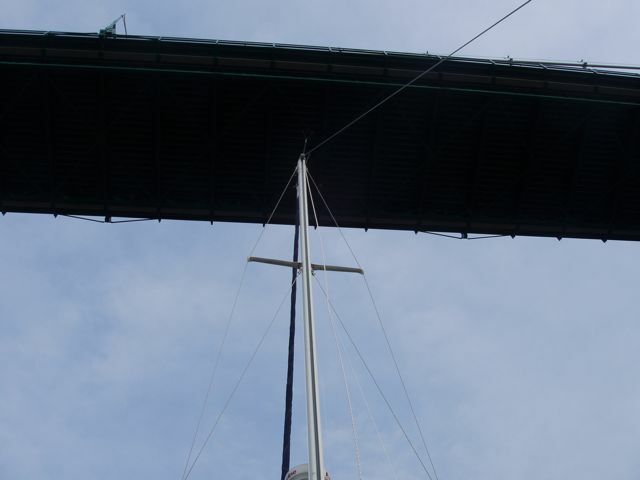 The last bridge that we went under, we barely made. This one? No problem. Mountains of (we think) sulfer awating a ship ride somewhere. 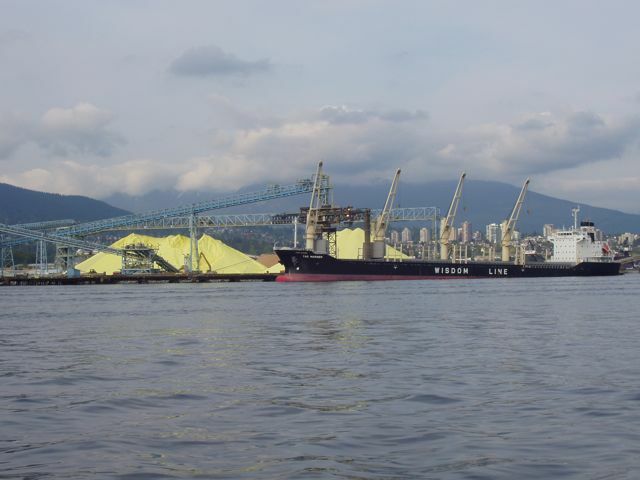 A vew of the many loading facilities in Vancouver. A vessel is moving out to sea in the foreground. 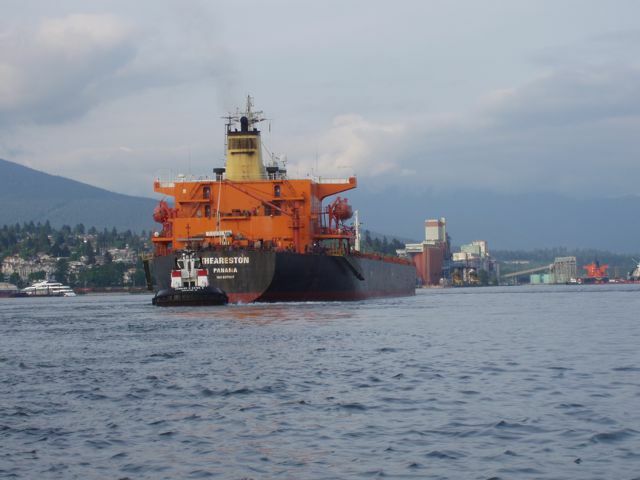 A large cargo ship is being moved seaward by a harbor tug on her stern. 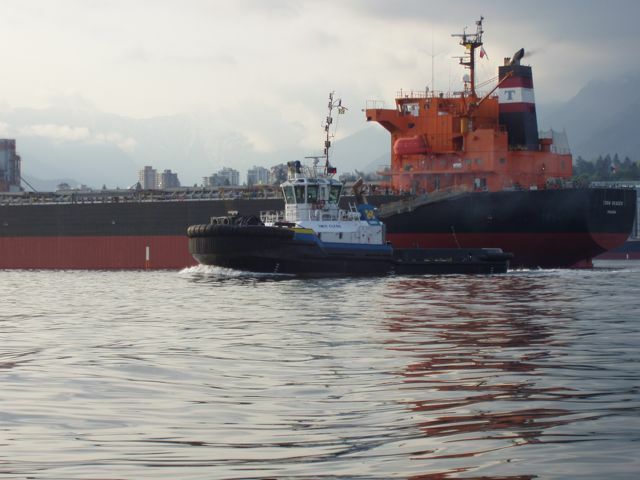 The harbor tug in the previous photo is one of the new models with excellent visibility and the ability to steer 360°. This ship is being held in place by a harbor tug pulling astern while the ship drops her anchor. 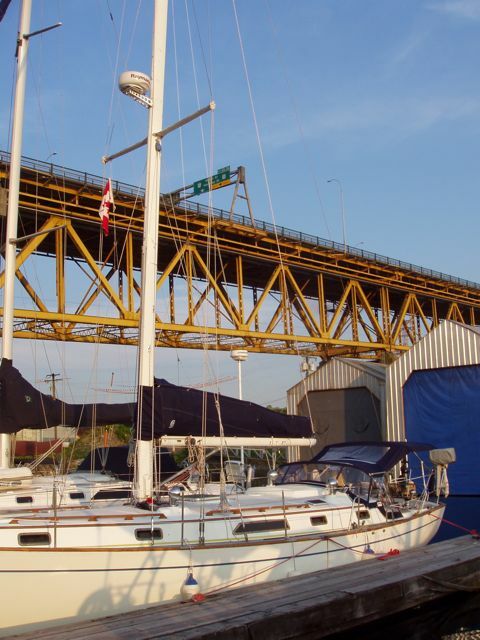 Wings in her berth under the Second Narrows Bridge. We're in Vancouver!